A twenty-seven year old Ladyville resident was today before the court for twice exposing his person to a woman living in the Vista Del Mar area, but whose name is being withheld. The suspect is Ehud Haulze, a gas attendant in Ladyville. 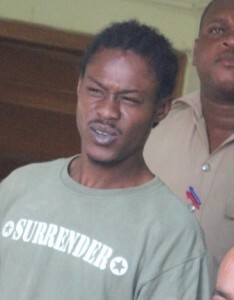 This afternoon, Haulze was before Senior Magistrate Sharon Fraser for the incident which occurred a few days ago. He pleaded not guilty to the two criminal charges saying that he did not intentionally expose his person. The woman claimed that Haulze was standing near some bushes when he exposed his private parts to her. She said that she ran to get away from him, but he rode up to her and repeated his actions and that’s when she went to a friend’s house and called for police help. Court records show that Haulze owes the court since 2011, a conviction for handling stolen goods, for which he was fined five hundred dollars but remains unpaid. In his own behalf, Haulze told the court that in late 2011, he was stabbed and his intestine ruptured so he could not work to pay off his bill. He begged the court for leniency and asked for more time to be able to meet his debt. 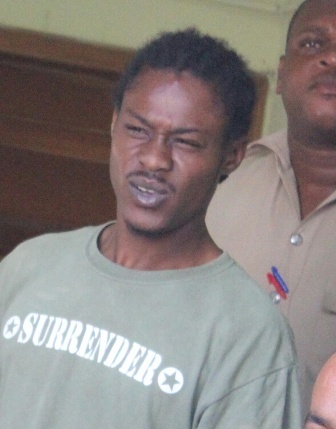 The Senior Magistrate, Sharon Fraser was lenient enough and allowed him bail today in the sum of one thousand dollars which he was able to meet. 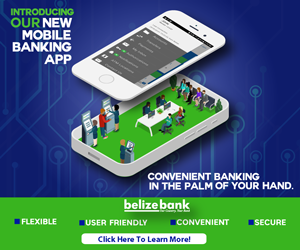 Haulze goes back to court in April.